I created DivGro in January 2013 to generate a reliable and growing dividend income stream. Keeping track of DivGro in a public forum has helped me to become a better dividend growth investor. Much of my learning has come from the research I do while writing articles, but also from interacting with like-minded investors. In 3 years, DivGro has grown to a portfolio of 59 stocks. As I write this article, average yield on cost (YoC) of the portfolio is 4.44% and projected annual dividend income (PADI) is $10,163. The portfolio's payback percentage (capital returned in the form of dividends) is 8.28% and total dividend income is $18,956. I like monitoring dividend increases for stocks on my watch list of dividend growth stocks, because I consider these stocks to be candidates for further analysis. In the past week, 6 companies on my watch list announced dividend increases, including two of the stocks I hold in my DivGro portfolio. Using several screens, I trim the CCC list of more than 750 stocks to a more manageable number of candidates. I rank the remaining stocks based on a multi-stage dividend discount model and fundamental analysis. This article reveals the top 10 ranked stocks for March. Each stock is assigned a 7-star rating, with only the best stocks earning 7 stars. 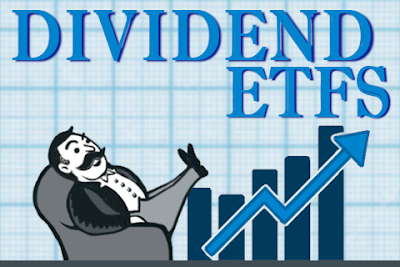 I monitor dividend increases for stocks in my watch list of dividend growth stocks to identify candidates for further analysis and to make yield on cost adjustments for stocks I own. Last week, 8 companies on my watch list announced dividend increases, including 1 of the stocks I hold in my DivGro portfolio. March 18, 2016: Bought 30 shares of UNP at $85.09 per share. Omaha, Nebraska-based Union Pacific Corporation (NYSE:UNP) operates through its principal operating company, Union Pacific Railroad Company. The company operates the largest public railroad in North America, with 32,000 miles of track linking 23 states in the western two-thirds of the United States. UNP hauls coal, industrial products, intermodal containers, agricultural goods, chemicals, and automotive products. UNP owns a quarter of Mexican railroad Ferromex. The company was founded in 1862. UNP is a Dividend Challenger with a 9-year streak of annual dividend increases. The company pays quarterly dividends of 55¢ per share in the months of March, June, September and December. At my buy price of $85.09, the stock yields 2.59%. Recent Buy: Gilead Sciences, Inc.
March 18, 2016: Bought 28 shares of GILD at $90.47 per share. Gilead Sciences, Inc (NASDAQ:GILD) is a research-based biopharmaceutical company that discovers, develops and commercializes innovative medicines. The company’s primary areas of focus include human immunodeficiency virus, liver diseases such as chronic hepatitis C virus infection and chronic hepatitis B virus infection, oncology and inflammation, and serious cardiovascular and respiratory conditions. GILD markets its products through commercial teams and in conjunction with third-party distributors and corporate partners. The company was founded in 1987 and is headquartered in Foster City, California. I already own 22 shares of GILD, which I transferred in December 2015 from my Scottrade to DivGro. Adding 28 shares brings my total holding to 50 shares. Because I'm dollar-cost averaging down, my cost basis is reduced to $101.91 and average yield on cost increases to 1.69%. Recent Buy: Starwood Property Trust, Inc.
March 17, 2016: Bought 140 shares of STWD at $18.73 per share. Founded in 2009 and headquartered in Greenwich, Connecticut, Starwood Property Trust Inc (NYSE:STWD) is the largest commercial mortgage REIT (real estate investment trust) in the United States. The company is focused on originating, investing in, financing and managing commercial mortgage loans and other commercial real estate debt investments, commercial mortgage-backed securities, and other commercial real estate-related debt investments. STWD has a 7-year streak of consecutive dividend increases and pays quarterly dividends of 48¢ per share in the months of January, April, July and October. At my buy price, this equates to a yield of 10.25%, which is quite impressive! March 16, 2016: Bought 35 shares of TROW at $71.39 per share. 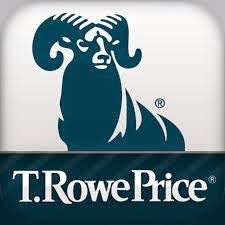 Founded in 1937 and based in Baltimore, Maryland, T. Rowe Price Group Inc (NASDAQ:TROW) is a financial services holding company that provides global investment management services to individual and institutional investors in the sponsored T. Rowe Price mutual funds and other investment portfolios, as well as through variable annuity life insurance plans. TROW is a Dividend Champion with an impressive 30-year streak of consecutive dividend increases. It pays quarterly dividends of 54¢ per share in the months of January, April, July and October. March 16, 2016: Bought 40 shares of MIC at $65.15 per share. Macquarie Infrastructure Company LLC (NYSE:MIC) owns, operates and invests in a diversified portfolio of infrastructure businesses that provides basic services, facilities and technology to businesses and individuals in the United States. The Company's businesses consist of bulk liquid terminals, an airport services business, a gas processing and distribution business, and a portfolio of contracted power and energy investments. I already own 30 shares of MIC, which I bought in May 2015 at an initial yield on cost (YoC) of 4.98%. This buy reduces my cost basis to $70.08 and increases YoC to 6.21%. 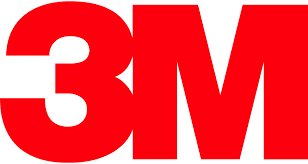 3M Company (NYSE:MMM) is a diversified technology company with worldwide operations. The company has leading positions in consumer and office; display and graphics; electronics and telecommunications; health care; industrial; safety, security and protection services; transportation and other businesses. MMM is an integrated enterprise characterized by substantial inter-company cooperation in research, manufacturing and marketing of products. MMM was founded in 1902 and is headquartered in St. Paul Minnesota. I'm busy consolidating several portfolios into DivGro. Previously, I transferred stocks from my Scottrade portfolio to DivGro. Now I'm starting to transfer stocks from my Roth IRA and my traditional IRA into DivGro. In the process, I'm providing details about past transactions and I'll be explaining why I'm a shareholder. Recently, 8 companies on my watch list announced dividend increases, including 1 of the stocks I hold in my DivGro portfolio. Regular readers will know that I have been transferring stocks from my portfolio at Scottrade to DivGro. My goal with this consolidation process is to manage my holdings in different accounts as if they are part of a single portfolio. Presently, my DivGro holdings are distributed across three accounts: one at Scottrade and two at FolioInvesting. I have a (hidden) column in my portfolio spreadsheet identifying the account that contains each holding. I have two more accounts at FolioInvesting, both IRA (individual retirement accounts). One is a Roth IRA I opened in April 2003 and a traditional IRA I opened in April 2010. In the next couple of months, I'm planning to consolidate these accounts into DivGro as well. Eaton Vance Tax-Managed Global Diversified Equity Income Fund (NYSE:EXG) invests in a diversified portfolio of domestic and foreign common stocks, with an on dividend paying stocks and call option writing. The past few months I have been transferring stocks from my portfolio at Scottrade to DivGro. Altogether, I've transferred 16 stocks and 2 closed-end funds (CEFs). This post covers the final transfer from my Scottrade account to DivGro. Soon, I'll start transferring some stocks from a couple of IRA accounts in a similar way. Just like with my Scottrade account, I'm not actually transferring stocks out of the source accounts and closing them. I'm only transferring the management of these holdings to DivGro. In February, I continued to transfer holdings from my Scottrade account to DivGro. Except for a couple of closed-end funds (CEFs), the transfer process is almost complete. In the process, I've added some solid dividend paying stocks, increasing DivGro's projected annual dividend income (PADI) to boot. I'm also planning to transfer stocks from a couple of IRA accounts in a similar fashion. As with my Scottrade transfers, I'm not actually moving the holdings from one account to the other. (I'm not allowed to do that with IRA holdings anyway!). Instead, I'll just be managing these accounts using my DivGro investment strategies. In this post, I'd like to review DivGro's performance in the month of February 2016. As always, I'm updating DivGro's Performance page at the same time. Since November 2015, I have been transferring stocks from my portfolio at Scottrade to DivGro. Altogether, I've transferred 16 stocks and one closed-end fund (CEF), adding $2,236.22 to DivGro's projected annual dividend income and $2,004.70 in past dividends to DivGro's dividend tally. NIE is the second CEF I'm transferring to DivGro. 29 Feb 29 2016: Bought 100 shares of STAG at $17.70 per share. Founded on July 21, 2010 and based in Boston, Massachusetts, STAG Industrial Inc (NYSE:STAG) is a real estate investment trust focused on the acquisition and operation of single-tenant, industrial properties throughout the United States. STAG is a Dividend Challenger, having paid and raised dividends for 6 consecutive years. The company pays monthly dividends of 11.5833¢ per share. At my buy price, the stock yields 7.85%. I already own shares of STAG. I first bought shares of STAG in July 2015 at $18.94 per share and at an initial yield on cost (YoC) of 7.29%. Those shares now have a YoC of 7.34%.